Einstein looked up to him, the Nazis wanted to kidnap him, his institute in Copenhagen hosted just about every Nobel prize winner in physics you can name (and then some), and Winston Churchill considered him by far the most dangerous man on the Manhattan Project. 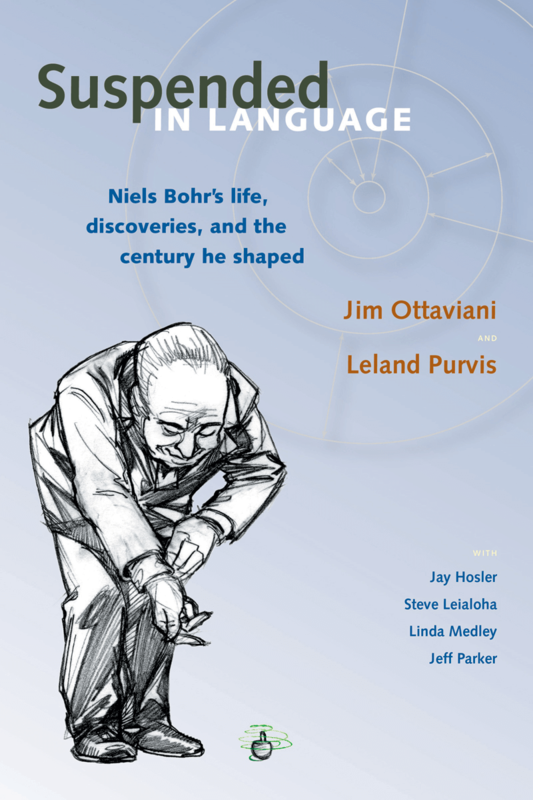 His friends and enemies agreed: Niels Bohr was much more than the father of quantum mechanics — he was one of the most important figures of the twentieth century. Suspended in Language tells his story. About the storytellers: Suspended in Language features art by award-winning artist Leland Purvis, a member of the ACT-I-VATE group and Deep Six. He’s the author of the acclaimed series Vox and Pubo . It also features footnotes illustrated by Jay Hosler ( Clan Apis , The Sandwalk Adventures ), Roger Langridge ( Fred the Clown ), Steve Leialoha ( Fables ), Linda Medley ( Castle Waiting ), and Jeff Parker ( The Interman , Agents of Atlas , and many others). On page 163 of the book we promise you the chance to read Quantum Entanglement, Spooky Action at a Distance, Teleportation, and You , so here (or rather, there, a few words back and at the link) it is!